Dry freight & refrigeration pull straps & grab handles. 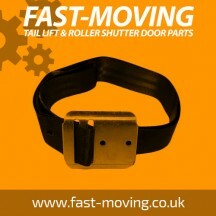 We can make our dry freight pull straps to any length required. Please call us on 01733 558224 if you can not see the size you require. All dry freight pull straps & grab handles supplied are manufactured by Fleet Engineers in USA and are are the very highest standards in quality at an affordable price.